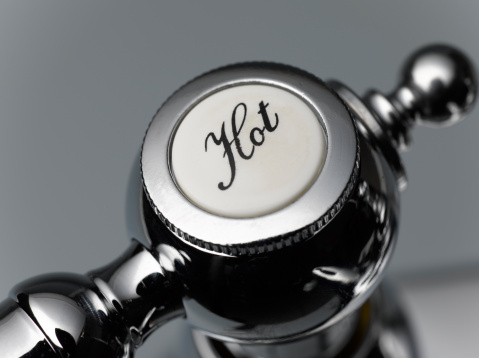 Eljer creates high quality faucet handles often marketed as part of Moen collections for commercial and residential sale. Many of the dual-handled faucets have replaceable handles available with several accents to complement the look and style of your room. Because many Eljer handles use the same threading, you can use different styles as well as accents with your faucet. Shut off the water main supplying the sink, which is typically located under the sink or cabinets. The water main can be identified by one or two handles attached to copper pipes or a flexible metallic hose. Turn the handle(s) at least a half turn to the left until you reach the off position. Locate the star-shaped aperture on the handle you wish to remove. 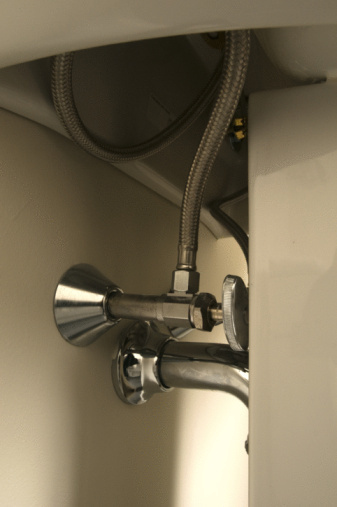 The aperture typically is located underneath the 90-degree joint where the handle meets the faucet. Turn the hex key counterclockwise in the aperture, while holding the handle with your other hand. This will require four to five complete turns. Turn the handles in the same direction you would use to turn the water on normally. They will turn around several times until they come off and are easily removed. This will leave a threaded stem exposed.